Catholicism is Christianity which has headquarters in Vatican City under papal authority. While there is no head as the position in the Eastern Orthodox Church, Catholicism has the head of Catholic, the Pope, which cannot be seen in other denominations with such a world-wide organizing power. Also, when deciding the pope, an election called Conclave is held but the election methods are not to be disclosed at all. A ritual of offering prayers to the god on Sunday is commonly called Sunday church in Japan. Eapecially an important ritual in its rituals (Divine Liturgy) is called Mass in Chatolic. Catholicism is a denomination divided from the Eastern Orthodox Church. The reason why it had to be divided was the difference of interpretation of the Christian ecumenical council. While the Eastern Orthodox Church accepts only 7 of the 21 ecumenical councils, Catholicism approves all contents of ecumenical councils. Like the Eastern Orthodox Church, Catholic has beautiful religious arts. Its high artistic quality is demonstrated at the Papal Basilica of St. Peter in the Vatican and Santa Maria del Fiore in Florence. The denomination originating from Rome (now Italy) owns these high artistic churches and paintings. 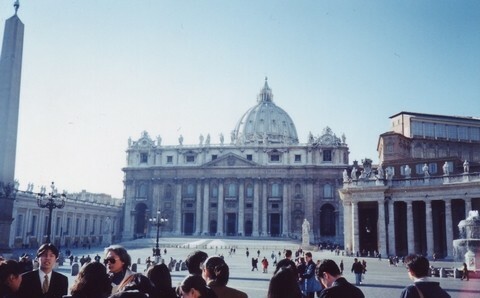 Therefore, religious arts have attracted many tourists in Italy.